Caption slip reads: "Photographer: Commercial. Date: 1958-03-25. Reporter: Farrell. Assignment: Metropolitan Transit Authority. Special Instructions: Return holder to Metropolitan Transit Authority 2233 Beverly Boulevard. 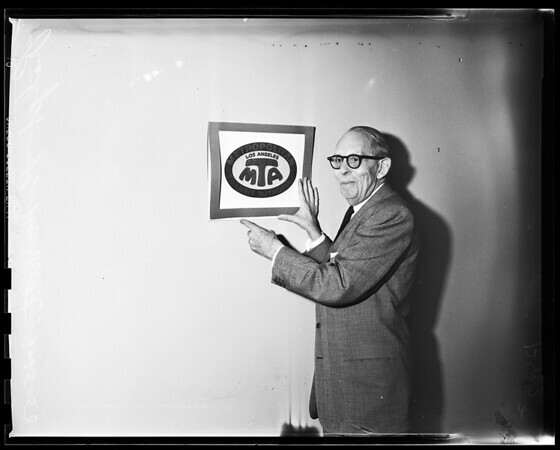 Ralph P. Merritt, executive secty shows new decal of Metropolitan Transit Authority which will be on all Los Angeles buses."